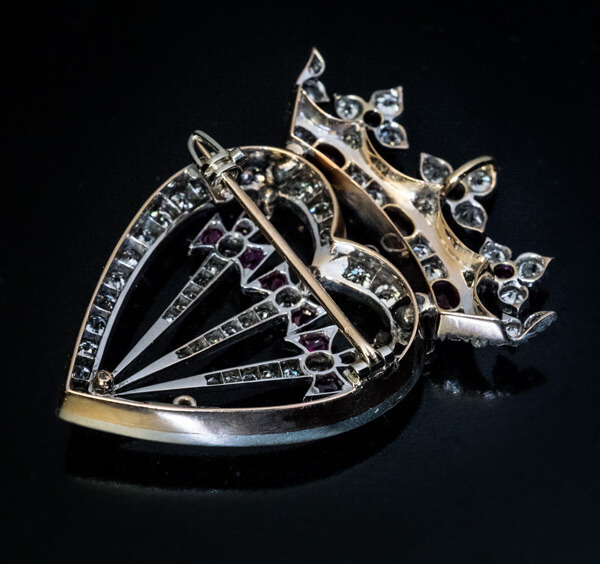 A Victorian era antique silver-topped 14K gold brooch / pendant is designed as a heart with three swords surmounted by a ducal crown. 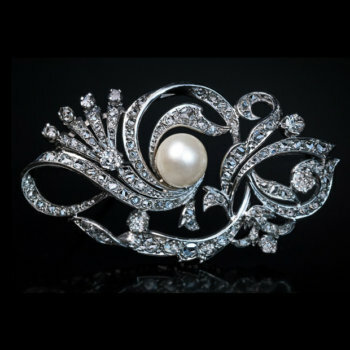 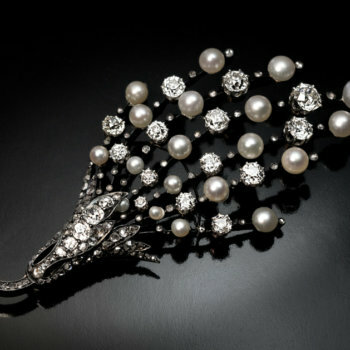 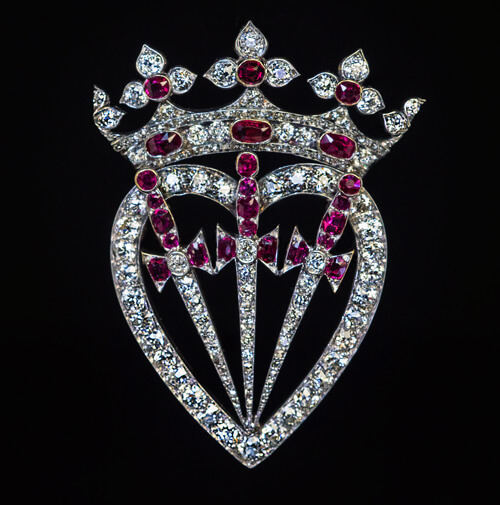 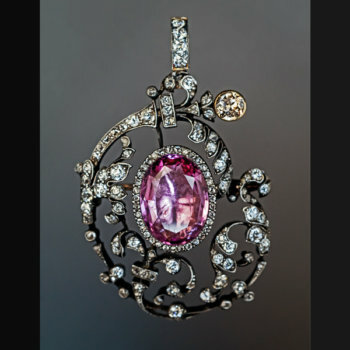 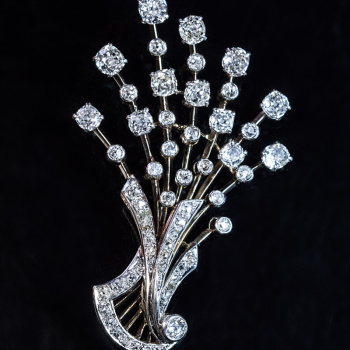 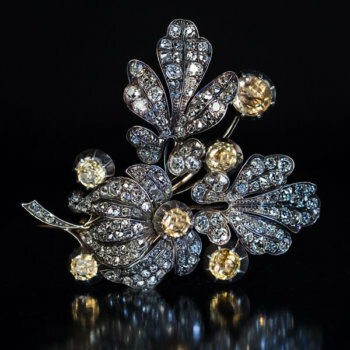 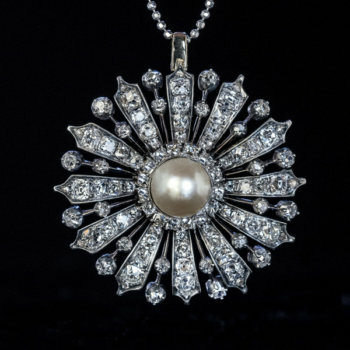 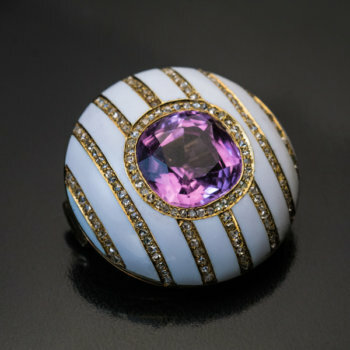 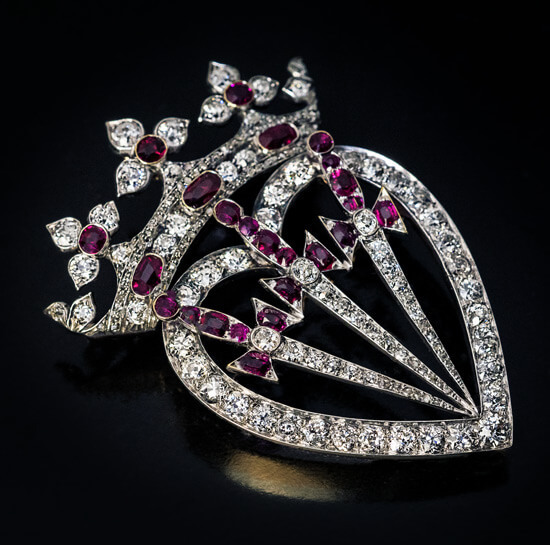 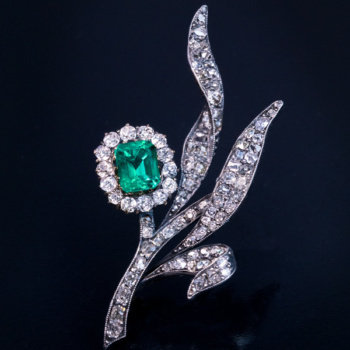 The brooch / pendant is densely set with sparkling old mine cut diamonds and natural rubies. 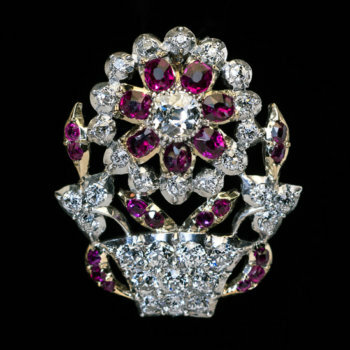 Approximate total ruby weight is 2.10 carats.